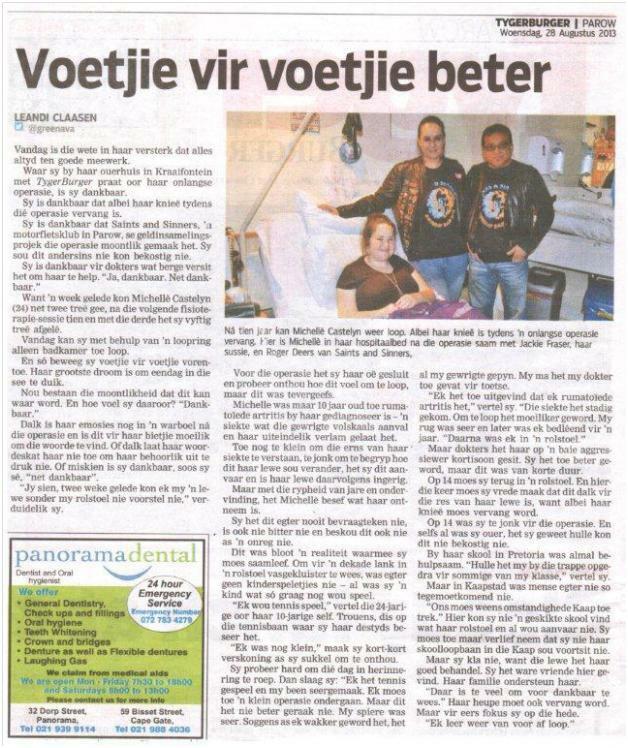 In 2010, Saints & Sinners MCC decided to embark on a fundraising campaign to raise funds in aid of Michellè Castelyn. Michellè suffers from Rheumatoid Arthritis. 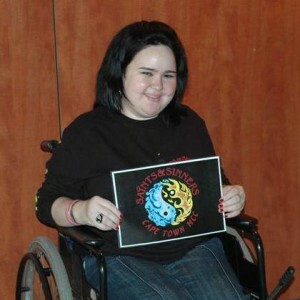 She was diagnosed at the tender age of 11 and has been confined to a wheel chair since she was 14 years old. 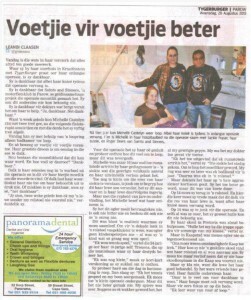 Saints & Sinners MCC had a series of fundraisers starting in 2010, and we have been paying for her medical aid since then. The medical aid made it possible for her to have the proper treatment before, during and after the surgery. Today, Michelle Castelyn is walking without any assistance. It really is a life changing experience for her as she was able to find a job and can live independently. This would not have been possible without your support. On behalf of Saints & Sinners, I would like to thank each and every person who contributed towards this fundraiser. Without any of you this would not have been possible. And last, but not least, Pastor William from His Blood Warriors. As a token of appreciation, we would like to hand over a Trophy. We will be having a “thank you” party in the next couple of weeks – details to follow…. 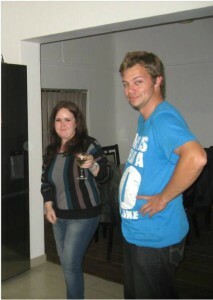 On a final note – The last debit order for Michelle Castelyn’s medical aid will be Dec’2014.